WAS JFK KILLED BECA– USE OF ROSWELL? ‘Who killed President Kennedy?’ is the ultimate of all conspiracies. Why was the young, American leader gunned down in November of 1963? The Roswell Incident has been around longer than the Kennedy mystery, but it is this question of who murdered Jack that is imbedded in the conscious mind of every baby-boomer. Those who remember the 50s know where they were when they heard that President Kennedy got shot. (I was let out of junior high school like the rest of America’s kids). Were there multiple shooters or a lone gunman? Do we believe the party-line of a lone gunman or QUESTION what the government tells you? Who were the guilty parties in this assassination? 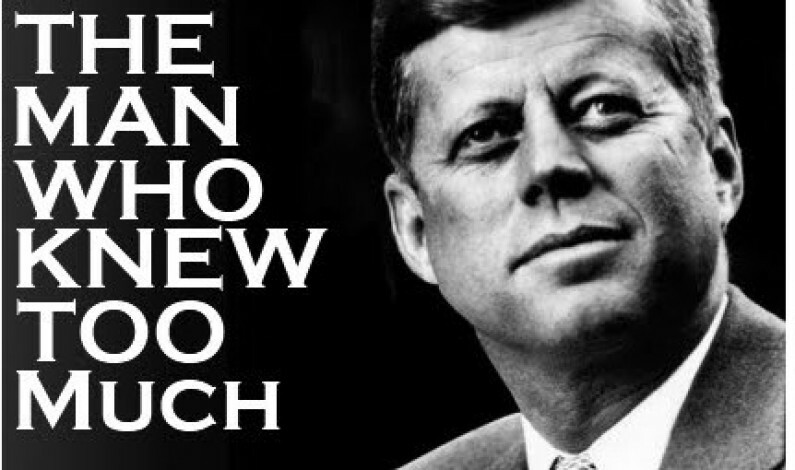 JFK was ‘killed’ and ‘murdered.’ He was not assassinated by some 3-named, crazy lunatic. There was indeed a conspiracy which stretched to the highest realms of power and politics. There is a Secret Society ritual that is ‘the killing of the King.’ The national leader of the people is only a figurehead and has no real power. Power lies behind the scenes within dark secrets. Others pull the strings of the politician puppets. If an upstart, politician puppet makes waves or rocks the boat or doesn’t play ball…..that puppet gets eliminated. It is why Caesar was killed. It is why Kennedy was killed. If you disturb the real power structure, you can be targeted for removal. Such ‘assassinations’ demonstrate to the world who has the real power; it is a bloody statement of who is really in charge; and the truth is our secret rulers control from dark shadows. (There is a reason the Ace is higher than the King in a deck of cards. The Ace represents the Secret Societies that truly run the show). The Kennedy Camelot era was a naive time period. The public believed what the news told them without question. A President’s personal life was not dirt that the media delved into. In pre-Beatle and pre-Vietnam times, people thought ‘if it was in print, then it must be true.’ After the great tragedy, where a nation mourned the loss of their president, an unquestioning public easily accepted what THEY TOLD US. Over the media, we were forced to believe it was a lone gunman: Lee Harvey Oswald with connections to Russia and Cuba. Through the years, other suspects to JFK’s hit have surfaced such as the Mafia and organized crime. Jack Ruby’s involvement seems to indicate an organized crime connection. The Cold War enemies of the United States (Russia, China, Cuba and other communists) obviously were not behind the killing of JFK. It is far more likely that these ‘reds’ were the perfect red herring; someone who is thought of as a usual suspect. The most likely candidate under the great, Conspiracy Theory banner is the CIA. These bastards are cold blooded killers. They are the killing arm of the secret rulers of the world. The CIA and the Pentagon are merely there to do the evil bidding of the authorities. They are not necessities for defense. They are offensive weapons. Your tax dollars are used everyday by the NSA, FBI, CIA, etc., etc… They are legal institutions that take away people’s Constitutional rights because of ‘national security.’ These agencies are bullies. They are sanctioned killers whose job it is to cause spilled blood on the battlefields and in the streets. The evil comes from the very top of federal organizations and trickles downward. There were only a relatively few people at the time of JFK’s death that did question what the news trained the country into thinking. The story of Dorothy Kilgallen is interesting since she was killed for what she knew. She was a well-known newswoman, columnist and television personality. She often appeared on ‘What’s My Line?’ She had inside information of a Kennedy Conspiracy. She campaigned against the lone gunman idea when she came to a mysterious death. Were the conspirators still at work two years after Kennedy’s death and caused the death of Ms. Kilgallen? What could have been in the Ruby transcipts? What could Kilgallen have known? Dorothy had said and written that slain Officer J.D. Tippit and Jack Ruby were friends. They had been seen together in Ruby’s Carousel Club at a meeting two weeks before the assassination. They met Bernard Weissman who had placed the ‘JFK – Wanted for Treason’ ad in a Dallas newspaper on November 22, 1963. They encountered a fourth man whose identity remains unknown. Kilgallen was found dead at a time exactly prior to when she was going to go public with a Kennedy bombshell. The official report from New York police and confirmed by the coroner was that she died from a lethal combination of alcohol and barbituates. Her notes and the article that she was working on to ‘blow the JFK assassination wide open’ completely disappeared. WHAT IF JFK FOUND OUT ABOUT ROSWELL AND WANTED TO REVEAL THIS SECRET TO THE PUBLIC? Sixteen years before President Kennedy’s last days, the Roswell crash introduced our military to alien technology. The existence of the grey creatures from Zeta Reticuli, with the large head and eyes, is the biggest government secret on record! Earth governments had been working with the greys for 16 years before JFK got wind of this and was about to tell the press and the people. All presidents that came after JFK are not in the loop. President Bush does not have clearance for Area 51. Roswell happened during the administration of Harry Truman. The next president, Eisenhower, also knew of the aliens and the captured EBE. A LIVE grey, designated as Extraterrestrial Biological Entity, was (in a sense) a prisoner of war. Was EBE the inspiration for ET? It was studied for years until its death. The crashed saucers were back-engineered; and numerous high-tech products today actually COME FROM THE ALIENS as crazy as that sounds; it’s true: Night vision, transistors and computer technology, to name only a few…have been reported to have been given to us by the Zetas. In William Cooper’s book Behold a Pale Horse (click on the title to find more about this book or to buy it from amazon.com) we learn that our military found ‘human body parts’ when they inspected the crashed saucers at Roswell in 1947. Right after WWII, our scientists and military were certainly interested in ADVANCED technology. Cooper wrote that a pact with the Devil was secretly struck between the grey aliens and Earth leaders. The deal was: The greys would give Earth scientists, who work for the Secret World Government, advanced tech. In return, the authorities would allow the aliens to abduct people; conduct biological experiments; extract enzymes from cows and do what they need to do without interference. The human elite have a campaign to make those of you who have seen saucers….seem crazy. The typical, government cover-up concerning UFOs is all part of the deal. Our leaders think more of their own science and technology than the welfare of the people. Government agencies purposely lie to the public; all to protect the interests of the aliens who they are indebted to for valuable knowledge and information. The CIA did not exist during WWII. The creation of the CIA corresponds exactly with the time of Roswell. It was THEN…when we knew the grey face of our real enemy…that there became a need for a Central Intelligence Agency. The CIA, originally, had nothing to do with espionage against Russia; China; Middle East; South America; etc. Government agencies and the news brainwashed people into a Cold War. To the public, the CIA was a watchdog to guard and defend the U.S. against our HUMAN enemies. In secret, the CIA gathers information against our real enemy; the aliens. An ALIEN presence known to the general public would cause, if not a panic, a change in humanity. Earthlings would UNITE; there would be fear and prejudice against the invaders; as in the film ‘Alienation.’ An old ‘Outer Limits’ episode was called: The Architects of Fear. In the story…a small group of humans decided to fake an alien invasion in an effort to UNITE the planet and bring peace during troubled, Cold War times. A known ALIEN presence is not what the secret Directors of our planet wanted in the 1950s. They wanted FEAR; and a red scare; and Joe McCarthyism; and commie-hunters; and all the fear to fan the fires of the Cold War. The rich and powerful had plans for the next phase of war in the nuclear age; a Cold War. The Secret World Leaders fund USSR’s Space Program as well as our own. They allowed Russia to put up Sputnik first to play on American fears. They gave the atomic Bomb to Russia. ALIENS, the real enemy that regard us no more than lab rats, would indeed bring the people of Earth together. This concept was (surprisingly) portrayed in primetime on the NBC TV series called ‘Dark Skies.’ The series followed the character John Loengard as he discovers the reality of the grey, Roswell aliens and the secret agency formed to study the alien problem. When the Cuban Missile Crisis happened, Loengard could not believe the news: Why was there a Russian threat when the real war was with the greys? Didn’t the Soviets know of the alien our government had on ice? Fiction often mirrors reality. The Trilateral Commission was formed; it is a 3-way system between the two Earthly superpowers and the grey aliens. Secret space missions built bases on the Moon. When JFK promised to land a craft and bring them safely back to the Earth by the end of the 1960s…THERE WAS ALREADY A SECRET BASE ON THE MOON! There is one, lame, space program that the public knows about…and then there is the secret, space program that the PUBLIC CAN NEVER KNOW ABOUT! The reason we have not PUBLICLY gone back to the Moon in 3 decades has nothing to do with it’s too difficult or it’s too expensive. We have not gone back to the Moon because people might discover that humans have been on the Moon all along; in secret. Consider that the last four Martian probes have screwed up; been lost; or malfunctioned. Just in the news the other day was another failed Martian probe. The Japanese sent a Martian mission and it too, mysteriously, failed. Something is already on Mars that THEY do not want us to see. Some of these probes would have been able to photograph details only a few feet across. For 5 decades, only the Earthly super-elite have been permitted to go to the Moon and Mars! (Read this writer’s article ‘Secret Bases on the Moon and Mars’ on this website). Consider MJ-12; Majestic 12; Majic 12; where a group of top scientists, the military and CIA officials were formed to assess the alien threat. The death of our Secretary of State, James Forrestal, in May of 1949…was not a suicide. He was the only member of Majestic 12 that wanted full disclosure to the American people. At 2AM, on the morning of May 22 of 1949, the Secretary of State was thrown out of the 16th floor window at Bethesda Naval Hospital! In 1948 and 1949, James Forrestal suffered from mental breakdowns. The Secretary of Defense was in and out of hospitals. He was diagnosed with Involutional Melancholia; a very depressed condition. Did what he know about the aliens cause this condition? Was Forrestal the target of Black Ops by his powerful opposition who disagreed with his public-should-know policy? Forrestal was taken home…but, within a day, the Air Force flew him to Hobe Sound. He arrived at the home of Robert Lovett (a future Secretary of Defense) in Florida. His first words were: ‘Bob, they’re after me.’ He complained that there were strange, ‘foreign-looking men’ following him. Were these the Men in Black? The film ‘Roswell’ implied this when they placed Men in Black standing outside Forrestal’s room in Bethesda Naval Hospital; suddenly, he was thrown out of the window. The official story for his death was suicide due to depression. His murder was all part of the conspiracy to protect the Big Lie by covering up the existence of the grey aliens. ‘The official investigation of Forrestal’s death was as much of a sham as that of President Kennedy would be 14 years later. The hospital labeled his death a suicide before any investigation took place…’ Could both the Secretary of Defense and the President have been basically killed for the same reason: THE PEOPLE ARE NOT TO KNOW OF THESE ALIENS! THE PEOPLE ARE NOT TO KNOW OF SECRET SPACE OPERATIONS! The people are to know only what federal sources through the media tell them. The Big Lie must never be revealed. We are made to believe: There have been no secret missions into space; we are not operating on the Moon and Mars in secret; JFK was killed by a lone gunman. The truth is ON THE ZAPRUDER FILM: Viewers see the driver of the limosine turn and fire! Today, the film is edited and the driver’s kill-shot is not there. But the unedited, original, famous, Zapruder film actually shows William Greer shoot JFK! Greer was a CIA agent who drove the limo. The shot came from the front because the President’s brains were blasted BACK. Jackie Kennedy ran for her life on the film. A natural reaction for her would have been to hold her dying husband. Instead, she was running for her life and was pushed back into her seat by the Secret Service agent behind the vehicle. Jackie knew this was a political hit by super-powerful thugs and carried out by the CIA. The Roswell Incident could be directly related to why the highest of authorities conspired to kill their president in 1963. In more recent times, Bob Lazar, William Cooper, Michael Moore and Jordan Maxwell have come under attack because they are whistle-blowers who have dared expose the truth. Who killed Kennedy? THE VERY ONES ON THE WARREN COMMISSION! The Warren Commission was composed of the most powerful officials in the USA. Do you see the circle of evil, Catch-22 there? The exact ones in charge of finding the conspirators were the conspirators. JFK was also against the Vietnam War. The rich and powerful wanted the Vietnam War back then. They wanted chaos; they do not want people getting together. In the 1960s, our secret leaders wanted the escalation of the Cold War. All of the Cold Wars should not have happened. They were bogus, manufactured enemies. War is an artificial construction. The super rich have always planned the wars where the poor die; it is their system of control. An alien in our backyard or extraterrestrials known in the universe tend to bring humanity closer. Humans unite with an alien threat. It is in the financial interests of those in power to ridicule the very idea of aliens…all the while, they are at war with the greys and will take their technology.